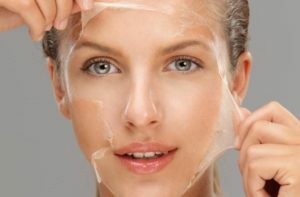 How Does a Professional Peel Works? A professional peel uses a solution applied to the skin to remove dead skin cells and stimulate the production of new skin cells. It tightens the skin, reduce wrinkling, evens out any pigmentation and restores a more youthful appearance. What Skin Condition Does a Peel Works On? How Many Types Of Peels Are There? There are variety of peels ranging from the superficial depth peels to the deep ones , each for a different set of indications. Peels contain a form of acidic compounds (AHAs), glycolic acid, salicylic acid, lactic acid or trichloroacetic acid (TCA) or a combination of a few varieties. What Does a Treatment Entile? Depending on your skin type and the desired results, our doctor may recommend a superficial, medium or deep chemical peel. Next they will select a peel with a single agent or if required multiple peeling agent (glycolic acid, salicylic acid or a TCA peel for instance) and apply the solution to various areas of skin. Once applied, it produces a separation and a peeling of the outer layers of the skin. This stimulate the production of new skin from beneath. The professional peel at Apex Clinic can be performed on chest, neck, face, hands and even the arms and legs. Most patients experiences warm to hot sensation that may last for few minutes followed by a mild stinging sensation. Reaction to peels ranges from mild to more pronounced. Generally the deeper the peel the longer recovery. Peels are great first line treatment for many conditions and great maintenance in between other treatments. Depending on the type of peel recovery time can range from minimal with no real peeling to a few days of mild redness and exfoliation. Patients generally see improved skin tone and texture with great treatment. Following the procedure new skin will be tighter, smoother and brighter then it was before. Avoid swimming and sun exposure for next few days. Avoid makeup for 24 to 48 hrs post deeper fell application. Your new skin is very sensitive and susceptible to injury. Always apply a wide spectrum (UVA and UVB blocking) sunblock of minimum SPF 15 at least 20 minutes before you go outside. Our doctors will prescribe a proper home skin care treatment program to ensure proper healing.